Rare opportunity! 21 beautiful acres with home and a full unfinished basement ready for you to cater to your needs. 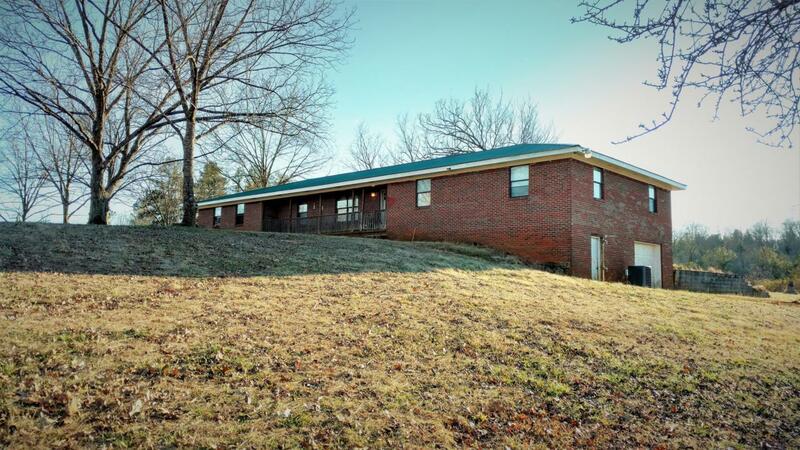 All brick home with good bones and metal roof less than 10 yrs, old. Spacious rooms, and a full unfinished basement for future expansion if you desire. The yard is fenced and has a nice metal barn with concrete floor, and an outbuilding to add to the list Home needs some remodeling, but is totally livable now! Move in and remodel while you live here. Beautiful gentle sloping pastures with over 1000' of road frontage on Hwy 60, and 800'+ on Anderson Acres. Property is being sold As-Is. Property sells as a whole- will not subdivide. Endless possibilities. Better Hurry on this one!Refrigerator does not stay. Bedroom Additional Desc Dim 12.8 X 13. Listing courtesy of Premier Property Group Inc..
© 2019 Chattanooga Association of REALTORS®. INFORMATION DEEMED RELIABLE BUT NOT GUARANTEED. The site does not contain all listings available through the MLS. Keller Williams Realty does not display the entire MLS of Chattanooga, Inc. database on this website. The listings of some real estate brokerage firms have been excluded. IDX information is provided exclusively for consumers' personal, non-commercial use and may not be used for any purpose other than to identify prospective properties consumers may be interested in purchasing. Data is deemed reliable but is not guaranteed accurate by the MLS or Keller Williams Realty. This site was last updated on 2019-04-25T22:09:03.22.